Brookes Fruit and Vegetables are nestled away in the idyllic surrounding s of Tewkesbury Garden Centre. We are delighted to offer a wide selection of high class, seasonal, local fruit and vegetables and much more, where we would like to think you won’t be disappointed! The well known Brookes family, based in nearby Twyning, have been established for many years growing and selling top quality, home grown produce. Continuing the tradition and family market garden business after the late Richard George Brookes, Timothy Brookes aged 72 still grows a wide selection of vegetables. All, we are proud to say, are hand planted and picked. Home grown produce has been our speciality for many years. 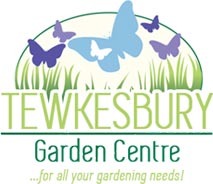 Now in our fourth year of trading at Tewkesbury Garden Centre, the family have been greengrocers (formerly in Tewkesbury High Street) for over 50 years. We are therefore unique in the respect our produce really is from “field-to-fork”. We pride ourselves in the quality of freshness of our produce, and offer a friendly service and welcome customers old and new. Not only having the advantage of free parking at the Garden Centre, the produce isn’t polluted by the High Street passing traffic that most greengrocers are subject to. We are equally happy to carry your produce to your car or alternatively offer a home delivery service. Most debit / credit cards are accepted / welcome.